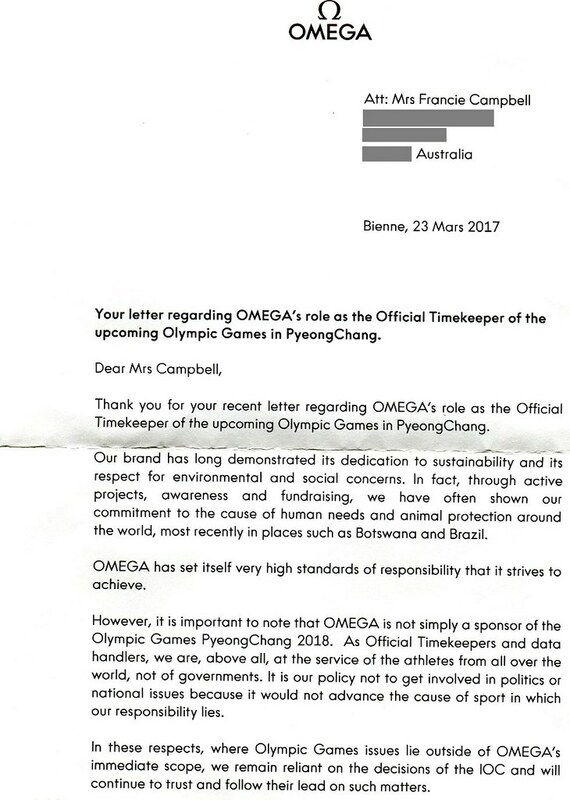 We received a response from Omega regarding our campaign, asking the sponsors of PyeongChang 2018 Winter Olympics to help bring an end to the dog and cat meat trades in South Korea. We are disappointed with this response. Please send your letter, post on their Facebook page, tweet, and/or call,… We must not give up until the millions of dogs in South Korea are free from this nightmarish cruelty. Fortunately or unfortunately Omega makes a good point. But as a sponsor it they spoke out to the IOC perhaps change may happen. Not really. The IOC will only take notice when/if sponsors pull out of the Games, so they do actually have a lot of influence and control over what happens. It’s more about money than politics. Losing the Games would be a huge blow to Korea which is about the only thing that would make them change or reconsider their ways. Each of these sponsors are responsible for what happens (and in a way culpable as well) since they are enabling these practices to continue. If you aren’t against it then you must be for it. 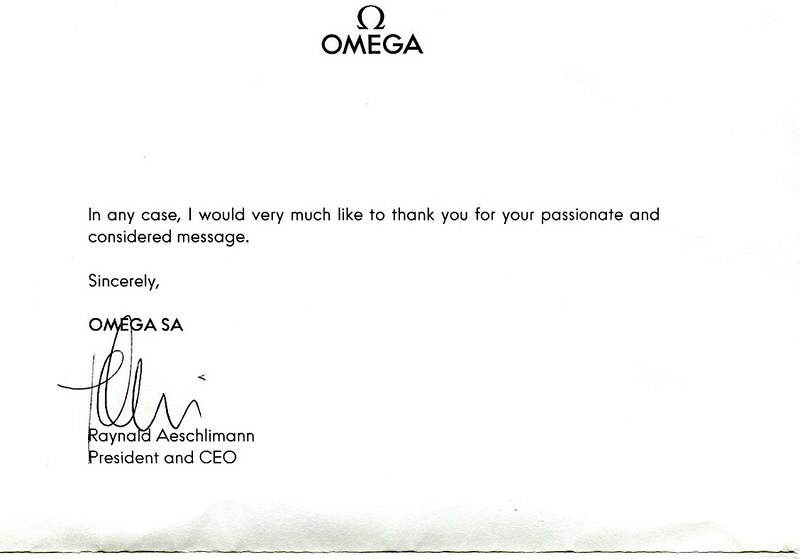 Omega’s response is cowardly, plain and simply. I guess business is business for all of you heartless people. “Above all at service to the athletes, but not the life of innocent dometicated animals?” What if it were other humans? Would you get a spine and take issue then? This is not political, but is about right to life. Grow a pair and do the right! Shame on you for not even trying to these these animals ! Ill make sure never to buy your products again ! Shame ! Shame ! Shame ! in short words… only money counts… it’s sick! Evidemment…le fric est Roi…! Quant aux pauvres chiens et chats…ils n’ont que “NOUS” et tous les activistes du monde pour continuer à être lanceurs d’alerte et œuvrer de toutes les façons possibles afin qu’une prise de conscience mondiale se fasse et que la Corée et les autres nations qui ont de telles pratiques barbares soient dénoncées et finissent par devoir légiférer contre ces pratiques !! !